Have you ever seen a video from a break in or robbery and though the suspect looked right at the camera, because of low video quality you still can’t tell who it was? Nothing is more frustrating than having an inadequate security solution. We take the time to get to know your individual concerns, then introduce a customized program that will make you smile knowing that when you leave for the day, we are there. From keycard access to network cameras the US military trusts to plug into their systems, we have you covered. 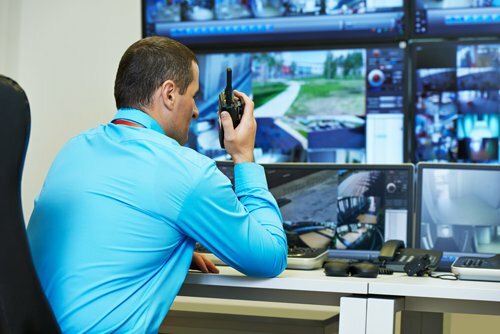 Our Idaho Falls surveillance systems provide you with the opportunity to keep an eye on your business, even when you aren’t physically on the property. This comes in handy when you have multiple locations, or are taking a well deserved vacation. Access your system from any internet enabled device, anywhere in the world, and all on a user friendly interface with stunning clarity. Night vision? You bet! All of our cameras are equipped with night vision, allowing you to see in the darkest conditions. We even have true color night vision options that will allow you to read a license plate in zero light at over 100 yards! Lets talk service. When your Idaho Falls surveillance system isn’t behaving properly it needs to be fixed immediately. One of our friendly and knowledgeable service technicians will be onsite within 48 hours, and same day in most cases. Customer Satisfaction is our top Priority.